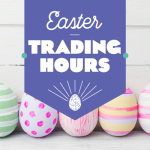 April 15, 2019Excellent Value, Fantastic Condition! April 3, 2019VALUE VAN with LOTS OF FEATURES! March 14, 2019Comfortable, Light and Bright Interior! March 7, 2019Grab Yourself a BARGAIN! October 4, 2016Display Model Awaits Your Viewing! VALUE VAN with LOTS OF FEATURES! 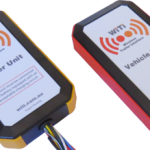 WiTi – Wireless Trailer Interface – NEW TECHNOLOGY! We Now Supply and Install WiTi – Enquire TODAY! Display Model Awaits Your Viewing! When placing an order, the towing plug can be installed to suit your vehicle’s requirements. All Villa Caravans are built on the same tough, rugged platform of a 6″ A-Frame and Chassis, 15″ Alloy Wheels with 235/75R15 LT Tyres, Roller-Rocker Suspension and a Meranti Timber Frame. This combination of features gives you a van that is perfect for Aussie conditions and guaranteed to give you years of quality caravanning pleasure.